• To Bring/Wear: comfortable clothes that you won’t mind getting dirty, and closed-toed shoes. Wear your APEX Cares shirt if you have one. Bring bottled water, wear sunscreen and bring appropriate out-door items. 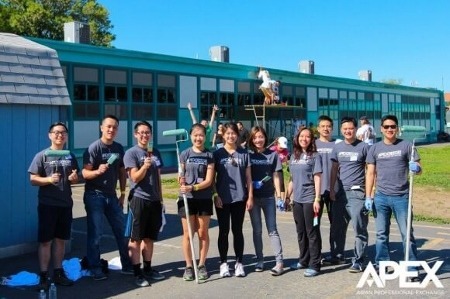 Join APEX Cares in volunteering with Compton Initiative! In one workday, we will be painting in elementary schools, on murals and nearby homes, performing block-clean ups, planting community gardens and performing other similar Compton community beautification efforts. Volunteers are asked to arrive at 7am to sign release waivers and receive name tags. A light breakfast will be served. All supplies will be provided on-site. After the event concludes at noon, a free pizza lunch will be delivered to the our work sites!